A leaked roadmap diagram from Nvidia reveals that 3D tablet PCs should be on the way very soon. The Nvidia roadmap plan clearly shows that the graphics specialist is working on two new additions to its Tegra line of ARM-based chips – specifically, the Tegra 2 3D, and the Tegra 3. 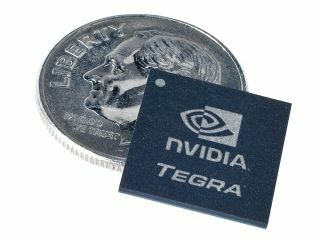 Tegra 2 3D is said to be arriving 'spring 2011' and is a 1.2GHz version of Nvidia's Tegra 2 chip with support for portable 3D displays on tablets and mobile phones. TechRadar has put a call in to Nvidia UK for further information on its plans for 3D phones and slate PCs. PC manufacturer LG is rumoured to be preparing a 3D version of its Android-based G-slate tablet, which uses Tegra 2. We've also put a call in to LG to ask them to confirm or deny these rumours. Nintendo is planning to launch its new glasses-free 3DS handheld in the UK on 25 March next month, and we expect to see numerous 3D-capable mobiles and tablet PCs arriving throughout the year. Stay tuned for updates on this story from Nvidia and LG. Elsewhere in graphics land, Nvidia's 1.5GHz Tegra 3 with four Cortex A9 cores and an improved GPU, along with support for Blu-ray and 1900x1200 output – being marketed to the home cinema and laptop industries – should be due at some point later this autumn.